The Sound A Doggy Makes: Michio Kaku | How disappointed are his Japanese parents? 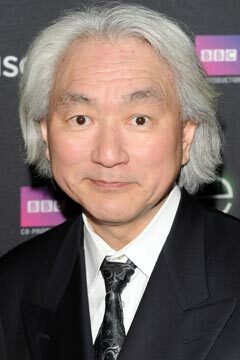 Michio Kaku | How disappointed are his Japanese parents? Seriously, this guy got a Ph.D in physics and he still only talks about death stars and space lasers. "Michio! Why you not moderately successful dentist of no repute like your cousin Kensuke? Kensuke not talk about Star Trek all day! Writes for journals. About teeth." Up-shot: he's totally making awesome science accessible to average people and children, even if he presents highly simplified views of many discussions when he gives interviews. I'm sure his professional studies are much more rigorous.